Dean Efrossynis is a Co Principal and has now been with Laing + Simmons Kingsford since 2006. To say that real estate runs through his blood is an understatement. Dean is the 2nd generation member of the Efrossynis family to carry on the tradition. 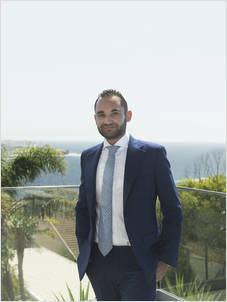 Dean has grown up locally & after Coogee Preparatory School, his secondary schooling was at The Scots College where Dean completed the Real Estate VET course being offered by the college. After Schooling Dean went on to obtain his Real Estate licence. Structured property management and strata management services available.